POCONO, Pa., Aug. 7, 2014 /PRNewswire-USNewswire/ — Dale Earnhardt Jr. and Hendrick Motorsports teamed with the National Guard Youth Foundation and sponsors Michael Baker International and DC Capital Partners to give racing fans more than an exciting win. Earnhardt, who serves as a spokesperson for the National Guard Youth Foundation, helped raise awareness and funds to help high school dropouts get back on track and become productive members of their communities. Michael Baker International and DC Capital Partners, who are strong corporate supporters of the Foundation, aligned with Earnhardt and Hendrick Motorsports for this race to raise awareness for the high school dropout crisis and provide funding to support scholarships and workforce development programs for graduates of the National Guard Youth ChalleNGe Program. 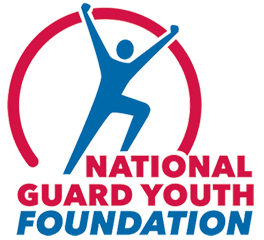 The National Guard Youth Foundation raises awareness of the dropout crisis and provides scholarships and workforce development opportunities for ChalleNGe graduates. Michael Baker International is a strong supporter of the Foundation and is committed to making a difference by educating youth in high-demand fields related to engineering and technology.